There are very few times in life where you are transported into an another space. In our so mundane lives there comes this breath of fresh air which makes you happy, your eyes see a whole new world. A world which always existed but which you never wanted to see. But then you make an effort somehow and open this closed door and you see a hidden world, a forgotten world, a magical world and sadly a neglected world. I opened this door last Sunday and it left me spellbound and hungry for more. I out of a whim enrolled myself up in ‘a heritage walk’. This walk is organised by the Pune Muncipal Corporation and and an NGO called Janwani. It starts at 7 am in the morning till 10 am. They provide you with a very well informed guide and there are may be 10 people in all for the walk. The walk starts from the Pune Municipal Corporation building and ends at Vishrambaug Wada which is on Bajirao Road. Our first destination from the PMC building was The Shivaji Bridge. This bridge was earlier known as the Llyod Bridge named after a Governor of Mumbai.. It was made between the year 1924 and 1926. The complete bridge is made of stone and has some structures which resemble that period of architecture. If you look beneath the bridge there is this very mysterious structure which completely looks from another time and place. Though of course the water beneath this bridge is unclean and almost resembling a gutter which kind of unsettles you. Our next stop was the Shaniwar Wada. In my 10 years here in Pune I have never been here, and I am not too proud about the fact. The Shaniwar Wada is an enchanting place with so much of history. The foundations were laid by Peshva Bajirao I who was the Prime Minster of the Maratha Empire. This place has witnessed triumphant marches of Maratha armies , assassination of Narayan Rao and the suicide of Savai Madhavrao. Though the story I really loved was the love story of Bajirao and Mastani. Mastani was said to be the most beautiful woman a man had ever seen. She was Bajirao’s second wife. In spite of a lot of opposition their love survived. The legend has it the Wada actually has a door called the ‘Mastani Gate’ which only Mastani was allowed to use. Inside there is also a room where she lived. Peshva Bajirao was one of the most successful warriors in the history of India, he hardly ever lost a battle. The Peshwa’s in the 17thcentury almost had taken over the whole of India from the Mughals. Then we went to Kasba Ganapati Mandir. The mandir was laid down by Jijabai, Shivaji’s mother. The story is that before this temple was made this whole place had been looted and destroyed by the Mughals. What the rulers also did was to use a donkey and make him go around the whole place which had a symbolic effect. According to the Hindu religion a donkey is an inauspicious animal which brings bad luck and poverty. So after the Mughals left people were not keen to settle down on this place, so Jijabai made this temple. To bring people back and encourage them to settle here. Also Shivaji made it a point that he would always visit this temple before he went for a battle. Next stop was Lal Mahal. This was built by Shahaji Bhonsle for his wife Jijabai and son Shivaji. It was destroyed various times . The original Lal Mahal no longer exists , though the place where its been made by the PMC remains the same. The most interesting story of the Lal Mahal is about the Shivaji’s war with Shaista Khan. Apparently the combat war that was won by Shivaji has been termed by various historians as the best ever implemented strategies in the history of combat wars. The army strength of Shaista Khans was that of 1 lakh and Shivaji just had around 300 to 400 warriors, but still Shivaji won the battle. He also cut off Shaista Khan’s three fingers. Right opposite to Lal Mahal is the Nana Wada. This is Nana Phadnis’s residential wada and it is huge. He was basically the administrator of the Peshwa’s and a very rich man. He was very shrewd and honest in his dealings and made his extra money from treaties signed between different rulers. It was all legitimate money. He was very meticulous about everything he did. It is said that the way our typical Maharastrian thalis are set, in the sense the salt, lemon,chutneys on the left and all the vegetables on the right was initiated by Nana Phadnis and has been since followed. He was not exactly a brave guy or a shrewd warrior though he was an ace administrator and responsible for all the economic planning of the Peshwas. The Nana wada boasts of the only original paintings of that time that are still existent in decent condition and are situated on the second floor. the colorful Mandai,near the flower market! 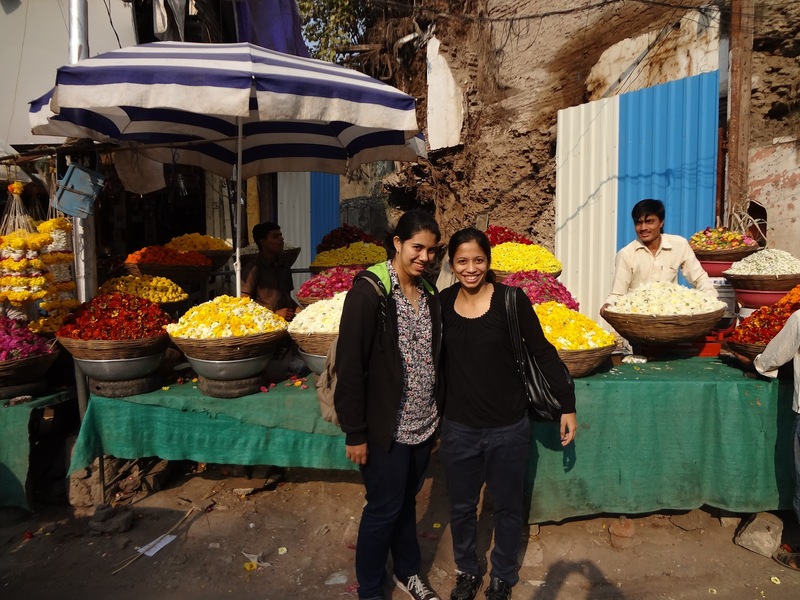 After this we strolled the very famous Mandai and the Mahatma Phule Udyan. The Mandai is a vibrant market where you can find anything and everything. Some great speeches by Mahatma Phule, Lokmanya Tilak have been delivered in this very place. There is also this small library where Winston Churchill was a member and used to visit often. 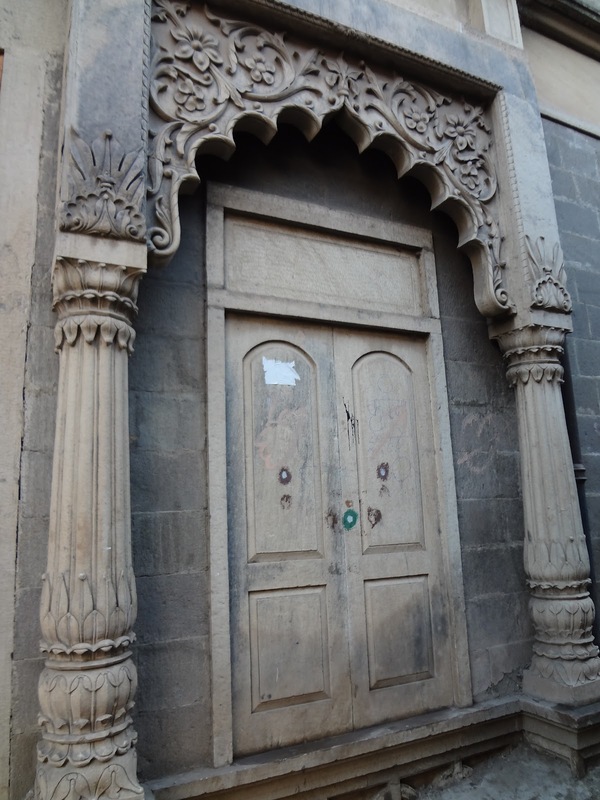 We then strolled through Tulsibaug and then finally reached Vishrambaug Wada. 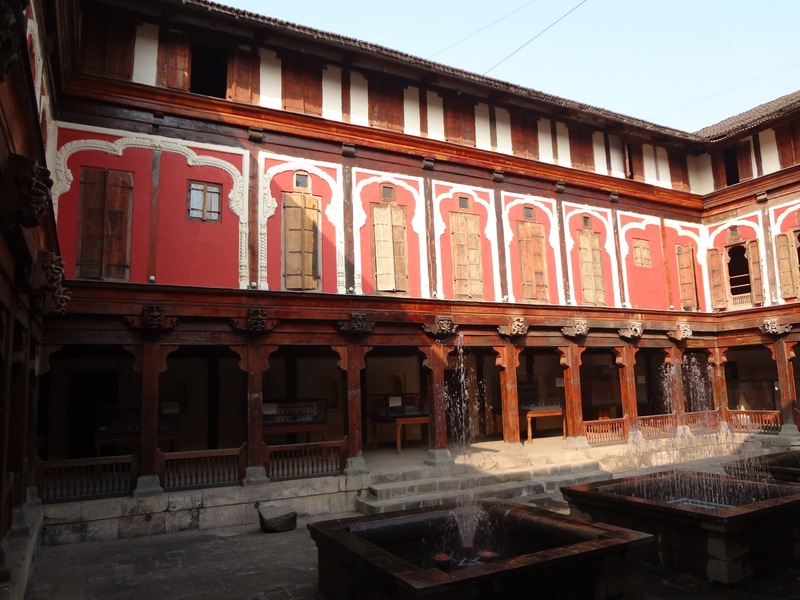 Vishrambaug Wada was basically like the Government rest house. Here people visiting Pune for a few days would come to rest. It also has two huge courtyards where there would be host of entertainment programmes being performed. The walk ends with a performance by the Shaheers, they are the people who basically sing Powadas. We heard a Powada which was written on the greatness of Pune by none other than Veer Sawarkar. The powada is pretty intimidating it kind of is something you dont hear very often and it’sbasically a story that is told with the help of songs and music. Valued objects and qualities such as cultural traditions, unspoiled countryside, and historic buildings that have been passed down from history, is what is heritage. Though Pune is blessed with a hell lot of it most of us are not aware of it. A lot of these places are almost breaking down. Especially the old core city where most of the old wadas are located. A whole lot of them are being broken down and made into the modern buildings. This I feel is a shame. The Government should raise better policies and help people living in these wadas with restoring these old structures.These places are not maintained or cleaned regularly. 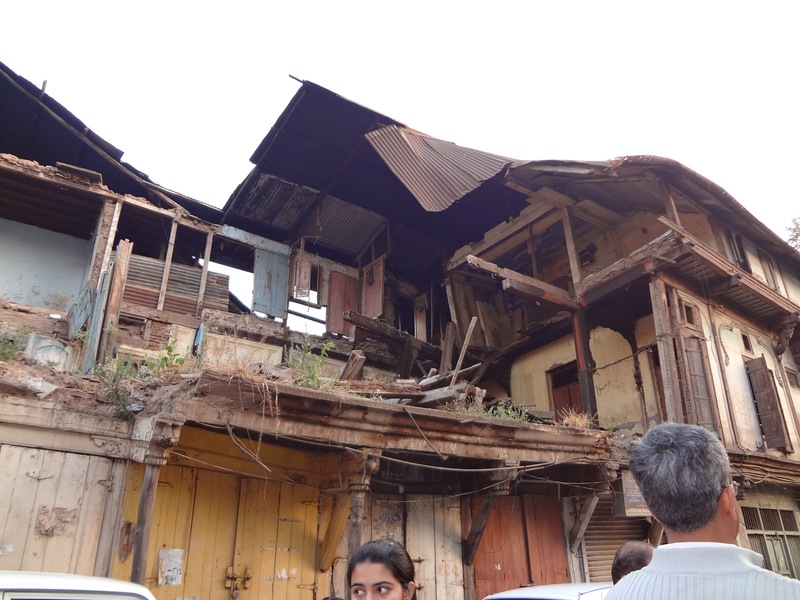 Though gradually with programmes like the heritage walk ,NGOs and PMC are taking the right steps to save heritage buildings. I was pretty impressed with the restoration work that has been undertaken in the Vishrambaug Wada. They have painted up the place and also made three fountains there which adds to the beauty of it. a lot of the old buildings are collapsing,it breaks my heart! When the next generation looks back all we have left them is a concrete jungle, with corrupt leaders , hi- tech technology, violence,terrorist attacks etc. Unlike us our ancestors have left us with stories of love, courage, love for the motherland, culture, pride and so much more which is so much more valuable. The least we can do is honour and respect that and most importantly preserve it. I personally just knew Pune as a city with horrible traffic,multiplexes,shopping malls, bad public transport, innumerable places to eat and so on, but now that has changed. Pune is a city where the great Bajirao fell in love with the so beautiful Mastani, where the great Shivaji defeated Shaista Khan, a city where Mahatma Phule started the first girls school and Lokmanya Tilak started the great Ganest Utsav. From being critical and almost frustrated with my city I have finally found a lot of pride in being Punekar. Go and actually visit your cities. Find those doors which you never cared to unlock, and who knows you will find some magical places with glorious stories. Like me you would may be feel proud of not just being an Indian but actually find what it really means to feel like one!!! If there is no WILL, there is no WAY!!! WOW it's nice to see the appreciation in the eyes of Modern Punekars.